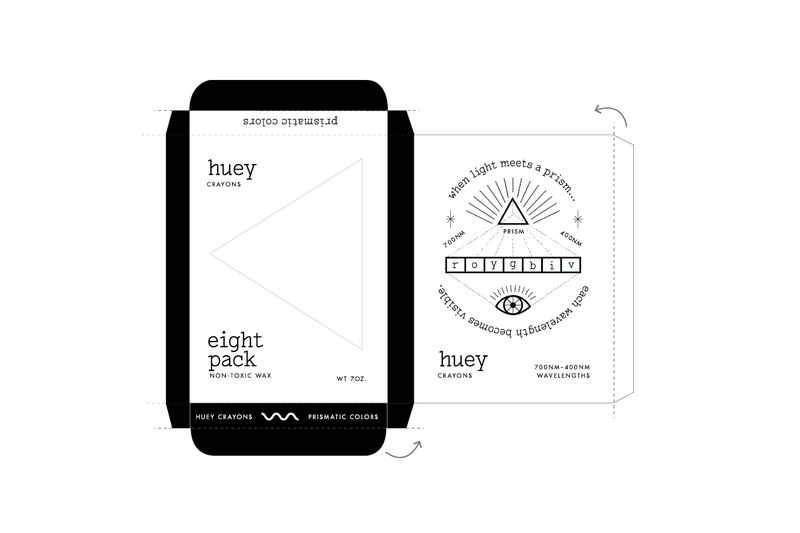 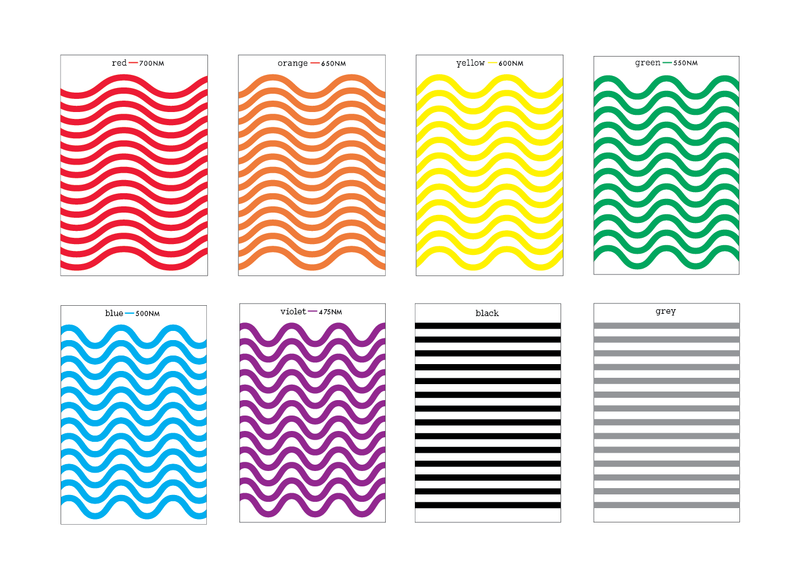 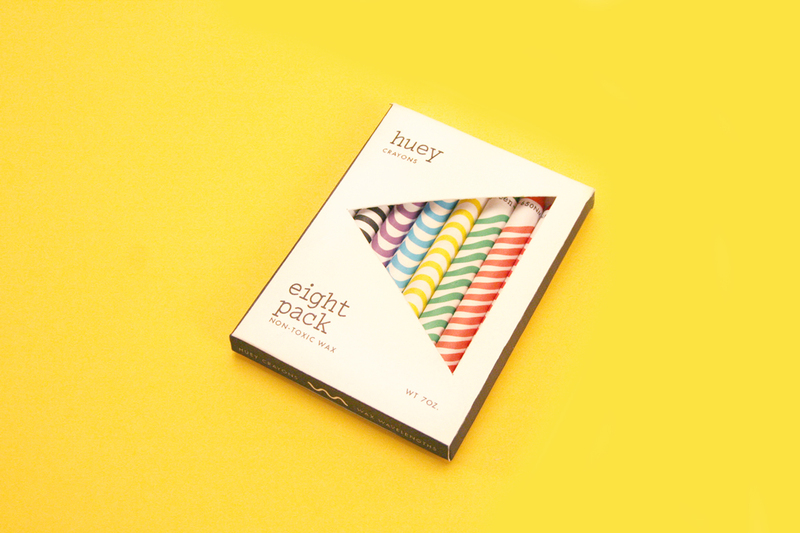 Packaged in a sleek black and white box, Huey is a mature set of coloring crayons. 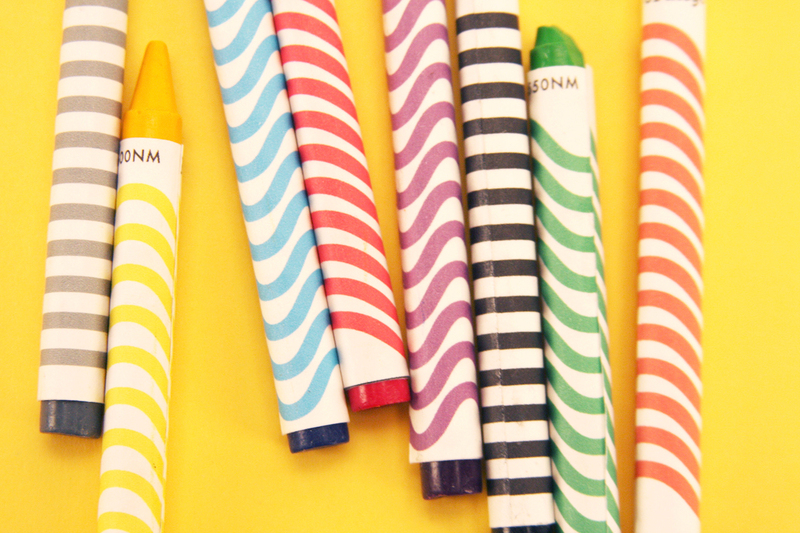 The triangle cut-out, referencing a prism, reveals the wavelengths of crayon colors in the box. 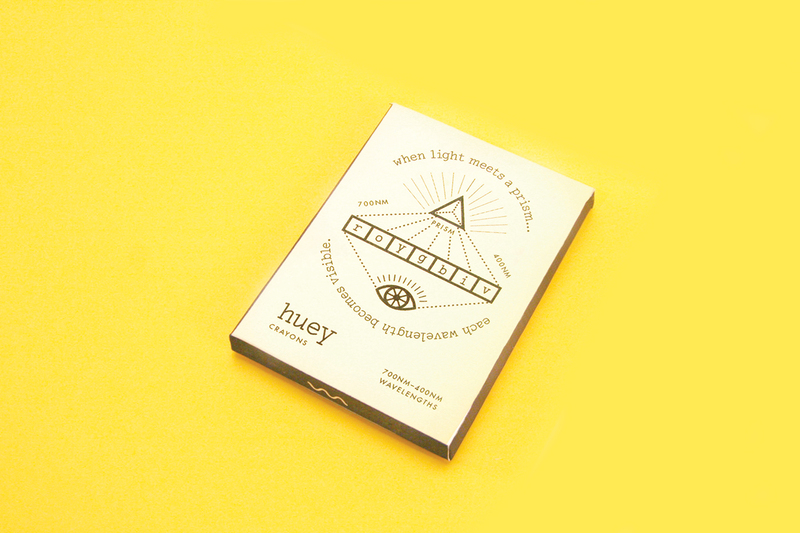 On the other side, a scientific diagram explains this light phenomenon.